Dental fillings are used to repair & restore worn, decayed and broken teeth. At CK Dental Health Clinic we will discuss with you the type of filling (material, size etc.…) you may require and explain the advantages and disadvantages of the options available giving you the opportunity to make an informed choice. Gold fillings — are made to order in a laboratory and then cemented into place. Gold inlays are well tolerated by gum tissues, and may last more than 20 years. For these reasons, many authorities consider gold the best filling material. However, it is often the most expensive choice and requires multiple visits. Amalgam — (silver) fillings are resistant to wear and relatively inexpensive. However, due to their dark color, they are more noticeable than porcelain or composite restorations and are not usually used in very visible areas, such as front teeth. Composite — (plastic) resins are matched to be the same color as your teeth and therefore used where a natural appearance is desired. The ingredients are mixed and placed directly into the cavity, where they harden. Composites may not be the ideal material for large fillings as they may chip or wear over time. 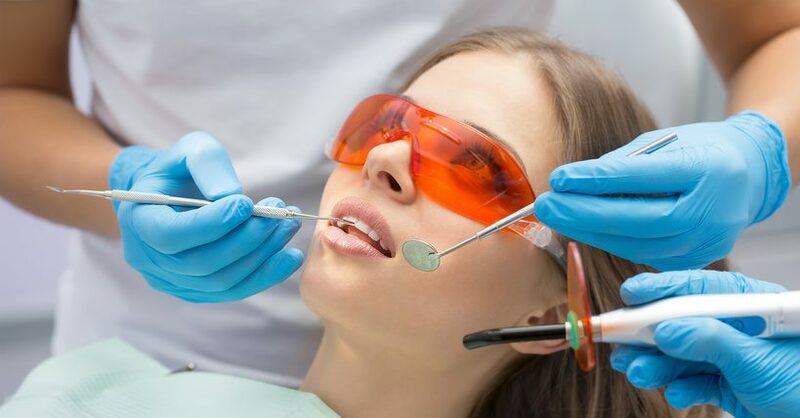 They can also become stained from coffee, tea or tobacco, and do not last as long as other types of fillings generally from three to 10 years. Porcelain — fillings are called inlays or onlays and are produced to order in a lab and then bonded to the tooth. They can be matched to the color of the tooth and resist staining. A porcelain restoration generally covers most of the tooth. Their cost is similar to gold.